Firstly, The Rime of the Ancient Mariner by Samuel Taylor Coleridge is more than just that one line and you should totally read the whole thing. You’ll definitely never shoot an albatross with a crossbow after that. Secondly, the reason I pulled that line for the title of the post has nothing to do with cursed sailors. Once again, we have found what seems like another large body of liquid water in our solar system. 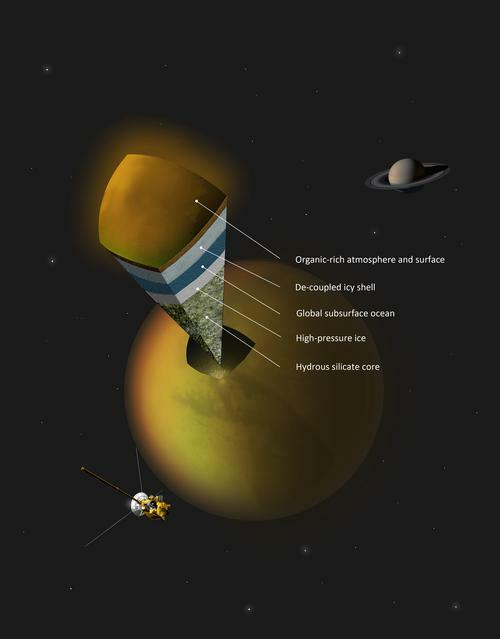 Titan was already an interesting place, with it’s thick atmosphere that permanently obscures the surface, complex weather systems and ethane/methane lakes, all on a measly moon of Saturn. Now, it seems that it may have a sub-surface ocean of liquid water and ammonia. This is not confirmed, but fits a number of observations made by the Cassini spacecraft. The next step will be making a spacecraft capable of slicing a huge wedge out of it, so we can get a better look. The Saturn system is also home to Enceladus, which despite its small size (only about 300 miles in diameter), spews water thousands of miles high through the most spectacular example of cryovulcanism we have seen so far. 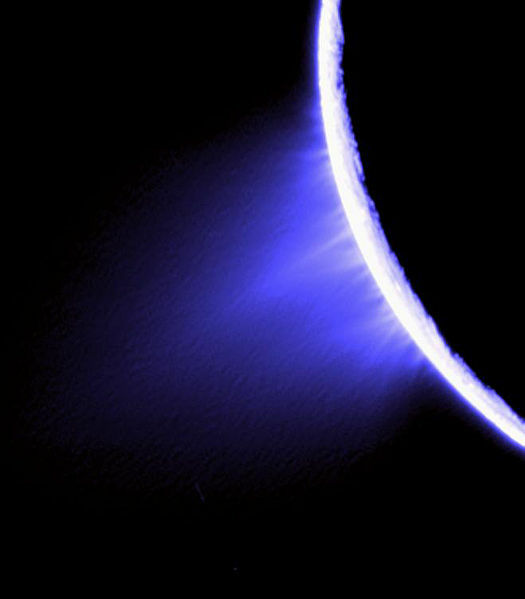 Enceladus uses cryovulcanism. It’s super effective. Of course, when you talk about water in our solar system (and you aren’t referring to Earth or comets), you have to include Europa. Orbiting Jupiter and delighting Galileo, this one is visible through mediocre binoculars and has shown strong evidence of a hidden ocean since it was visited by Voyager. In fact, the features (not one or two, but essentially ALL of them) indicate that there is a deep ocean of liquid water that keeps the surface separated from the interior of the moon. 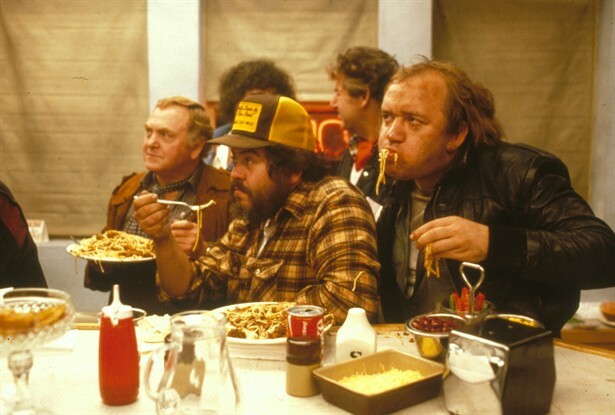 More cracks than a plumber convention. Here we have three moons (even though Titan is bigger than Mercury) and three oceans of liquid water that by all estimations are bigger than all the water we have on earth combined, each. Even little Enceladus, which has so little gravity that the water escapes into space and forms the “E ring” around Saturn, is loaded with the stuff. Mars was probably a wet mess once upon a time too. So, here we are, in one solar system, water a prevalent feature on several bodies and in liquid form no less. We know now that solar systems like ours are more than likely the rule and not the exception, the total number of planets now seemingly outnumbering stars by a hefty margin. I can conceive of no reason to think that water is any less common elsewhere, so this universe is (probably) absolutely soaked. Wild. It means there’s probably a lot of water. Duh. Does this mean that there’s life in all of these alien oceans though? Maybe, maybe not. 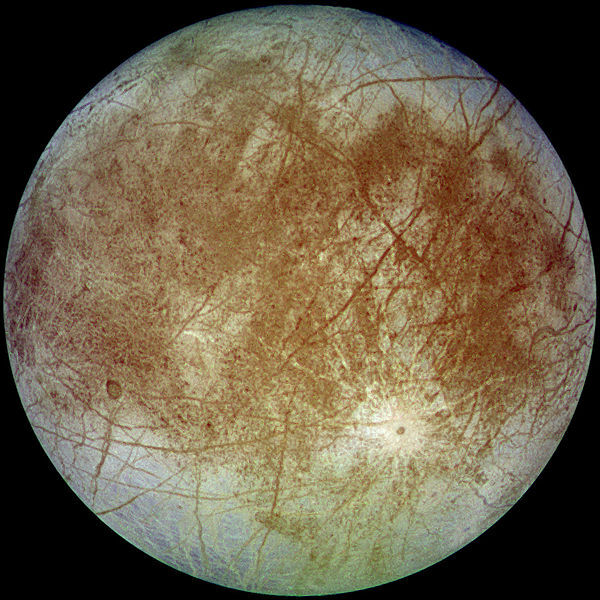 If we find life (in even a very simple form) on Europa, but not anywhere else, we’ll know life is totally possible under certain, if very different, conditions than the idealistic Earth . If we find life on Europa AND Titan AND Enceladus, well, that’s something else. That would suggest that life is like all the planets around so many stars, the rule, not the exception. It’s an exciting possibility. There’s only one way to find out though: through well funded planetary space programs. If we spent half of what we spend on defense on exploration, I’d have a time share on Triton by now. Aliens will never invade Earth for our water. That would be stupid. It would be like hiking across a desert to find a store that sells sand. No aliens that dopey could ever figure out how to get here anyway, they’d have long since killed themselves off after using up all their own resources, overpopulating, and rapidly changing their climate. They would probably look like this. Scary, I know.